Scout leaders have an incredibly important job. You help shape the great leaders and thinkers of tomorrow. You need to keep them engaged and interested while also having fun, which can present a challenge in itself. Going outdoors offers one way to get and maintain kids’ attention. You can have a host of outdoor adventures without going too far from your hometown. 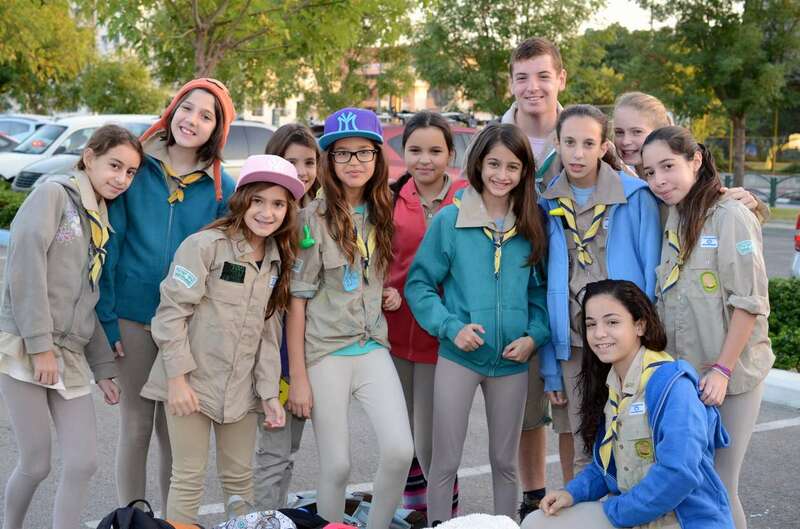 Why not plan a special trip for your scouts? When you take your kids on a whitewater rafting trip, you will have no problem keeping them engaged. The excitement of the rapids, combined with the physical and mental tests they face throughout the day, will enthrall them. They will love coming together with their fellow scouts to accomplish something they may have never thought possible — making it through a demanding river on their raft. As a bonus, your scouts will be eligable to earn outdoor badges for Boy and Girl Scouts when you take one of our rafting expeditions. Which trip should you choose? Our Section III rafting trip will most likely be the right choice for your scouting group, especially if you lead younger children. The minimum age for this trip is 8, though it is best suited for kids 10 and up. The children accompanying you should be able to walk through rocky paths and paddle on their own. That’s right — they’ll be doing most of the labor. They will truly have to earn their way through our course, which is why it’s such a valuable undertaking for scouts. Girl and Boy Scouts appreciate the fruits of hard work, and they will have to give it their all to muscle through our rapids. At the same time, this is a very attainable and realistic goal. If your kids are looking to earn adventure badges in Georgia, as well as create unforgettable memories, our trip is for you. If your group aims to complete more than one merit badge during rafting, why not make it a two-day trip? When you book a camping weekend with us, you can help them knock out badge requirements for camping, hiking and even aquatics during your time with us. Plus, our trips are economical. We offer discounts for groups with more than 15 people, which can keep your costs down. 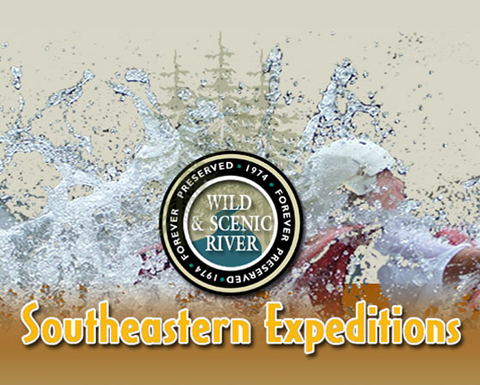 Your Girl and Boy Scout adventures in Georgia will stay affordable when you book through Southeastern Expeditions. The Boy and Girl Scouts have a long and honorable tradition across the United States. 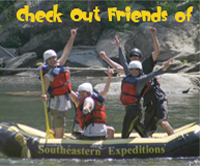 We are proud so many of them choose to visit our section of the Chattooga River region to experience the thrill of rafting. Many of these young people have never gone whitewater rafting before. Teaching them the right way to do things the first time can turn them into lifelong devotees of this exciting sport. Contact us today to learn more about our Girl and Boy Scout trip options. We can also answer any questions you have about how our trips can fit into your merit badge qualifications and what trips are age-appropriate.